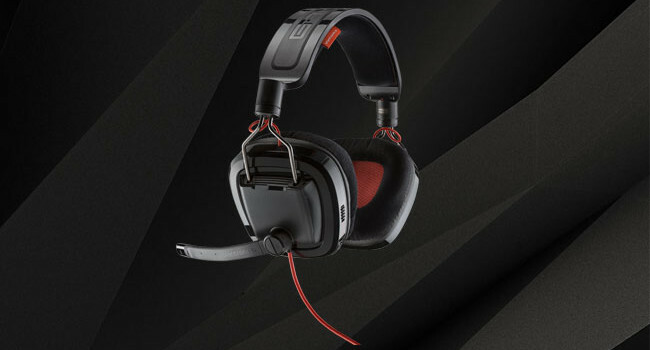 The Gamecom 788 headset is a very good value for the money. The sound quality is superb and offers 7.1 surround sound; it also has a button on the bottom part of the hear cup. The headset works very well with Skype and Windows 8, has an easy plug in USB and can be used for chatting on online games and Skype. Now lets talk about comfort, the headset fits perfectly on your head and able to greatly adjust to fit your head size. Also I love the suede material on the ear cups and the headset band. Now its down to the mic quality; Plantronics did a very good job with the mic it has noise cancelation, no static feedback and an awesome microphone. On the side of the headset you have a mute switch and the volume control tuner. The volume responds very well and you will see a volume indicator on your computer going up and down whenever you turn the volume up and down. The build quality is impressive; very lightweight with strong quality, doesn’t feel cheap when you hold it in your hands or put it your head. Finally, the design of the Gamecom 788 looks like a headset a pilot would wear I love how it makes you feel like your flying a plane. Should you buy this headset? Yes! If your on a budget, have under a hundred bucks and looking for a nice quality PC gaming headset with 7.1 surround sound. The only down side to this headset in my opinion is that I wish they would have added the volume controls on the wire instead of putting the controls on the headset itself. My review score is 9 out 10 Editors choice.